Back at MWC2018, Nokia Mobile did promise to strengthen its presence in selected markets. We can observe that Nokia is becoming more and more present across the globe, especially across the Atlantic which was historically a hard nut to crack. What I like to see is a greater advertising effort in some significant markets like Finland and India. 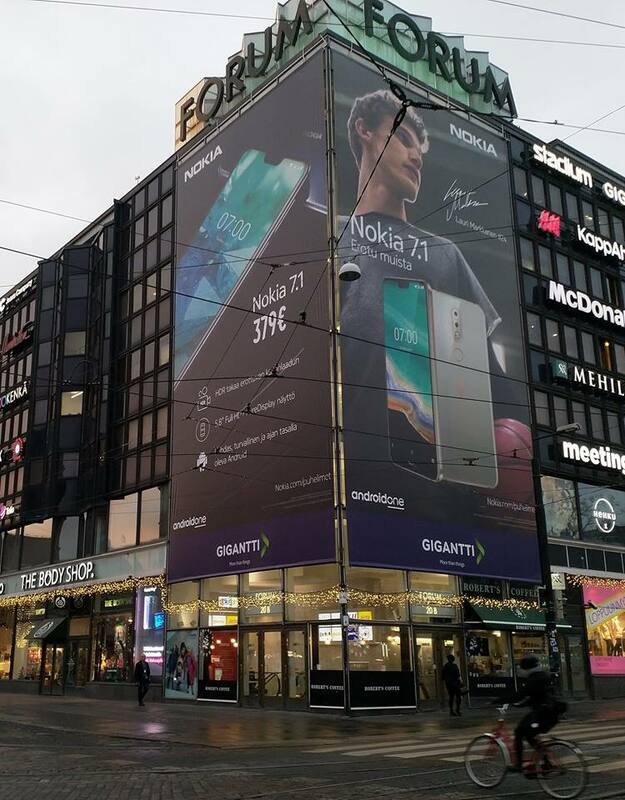 If you are in Helsinki these days, you’ll probably notice a big Nokia 7.1 poster in the corner of the Forum shopping center. Nokia Mobile is promoting its latest midrange star together with the Lauri Markkanen, which is currently a Nokia Ambassador. Nokia Mobile also increased its activity on YouTube by publishing three new promo videos there. Two are aiming Indian market, and are promoting Live Bokeh option on Nokia 5.1 Plus and 6.1 Plus which are currently available in India, and Nokia 8110 4G or the banana phone. This second one does remind of some old commercials done for Lumia and Asha phones (thx MichealsoftSirFaceFone for bringing this one up). It got to be because of the pronounced colors there and nice electronic music used, or it could be that Nokia Mobile hired the same team that used to do those commercials for Devices and Services department before. Even though Nokia took down many old promotional videos, you can still find them on Youtube or Vimeo. Check out the Vimeo profile of Hugo & Cat who has a nice collection of promo videos made for the old Nokia Department of Devices and Services. The third one is an old promo video of Nokia 5.1, but it has a logo of a Mexican operator Telcel. This means that folks in Mexico will see more of Nokia on TV and across the Youtube. Did you guys notice some kind of Nokia commercials in your country? Leave us a photo of it if you did :).